This summer, twelve Holy Trinity students are interning in some of Chicago’s top organizations through the Friends for a Future program. 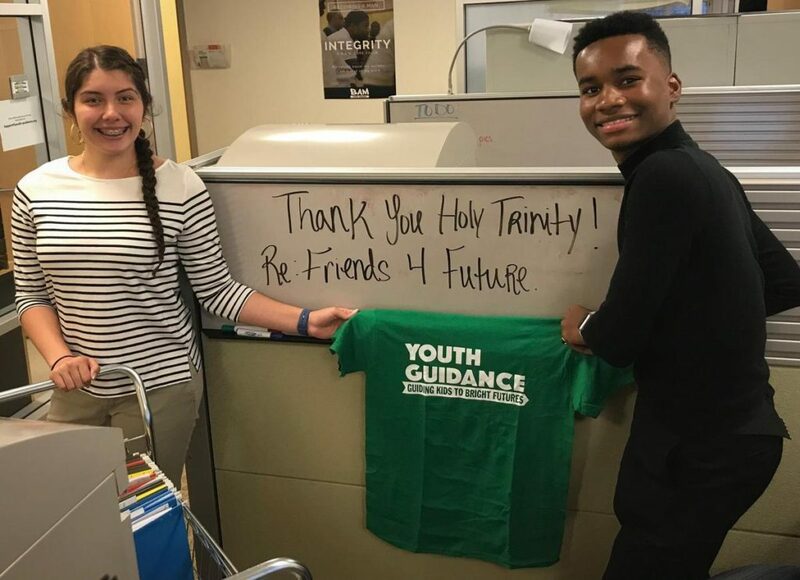 Each year, select Holy Trinity students spend the summer working in corporate offices in Chicago’s Loop, thanks to our one-of-a-kind Friends for a Future program. Launched in 1995, this program came about when board member Craig Dean attended a Career Day. He quickly realized many of the students had little knowledge of the business opportunities in their own city. With a vision to bridge that gap and prepare students for leadership, Craig became the impetus behind Friends for a Future. Over the past 23 years, Holy Trinity has placed more than 330 students in corporate internships while also connecting them with a professional mentor. A student’s mentor does not work at the same location as the student’s internship, which allows the mentors to provide unbiased feedback and advice on how to flourish in the workplace. “I really like how welcoming the people are. I’ve actually seen a path for my life, my future. Fay Servicing has taught me to be a more responsible person and financially literate. Last year, I worked with underwriting and modifications prophecy. We looked at loans and used a lot of Excel. That’s affected my life because on my own time, I learned Excel formulas and they helped me at school a lot. This year, I’m working in facilities with David. Although we don’t get as much computer work as last year, I enjoy this because we really look out for other people. I feel I can have a one-on-one conversation with people whenever they need something. It helps me network and meet new people. In addition to Youth Guidance and Fay Servicing, this summer our interns are also working at Assurance, Institute of Food Technologists (IFT), Ryan Specialty Group, American Academy of Pediatric Dentistry (AAPD), Chicago Department of Family & Support Services (DFSS) and Erie Neighborhood House. PrevPrevious News PostThank You, Faith Foundation!